Probably one of the cryptocurrencies with the highest potential at the present time, EOS had completed its year-long ICO on June 1st, 2018, three days ago, and the results are astonishing. We’ve talked a few months ago about the Telegram ICO, which had raised more than $1.7 billion and now EOS had managed to break that record. In the following sentences, we’ll talk about some numbers of the ICO and also why EOS had managed to have such a great success. As we have written in a previous article about what makes a successful ICO, there are several reasons that lead to results in this industry. In the case of EOS, the people working there have a solid background and had great success in the past. Let’s take some actual examples. Mike Novogratz is a billionaire hedge fund manager, Eric Schmidt was a former executive at Google, Dan Larimer current CTO of EOS had built Bitshares and Steemit both coins in the top 50 right now according to coinmarketcap.com. The product that EOS is offering is also revolutionary, a lot of analysts believing that the company will become Ethereum’s main rival. It enables the development of blockchain applications that are scalable horizontally and also vertically. As it has been reported by many news agencies, Block.one, the Caiman Islands start-up and the company behind EOS, had managed to raise $4.1 billion. We must consider the fact that all the participants in the ICO had used Ethereum in order to buy EOS coins, so the total value may vary depending on how the Ethereum price will fluctuate in the near term. However, it is still by far the biggest ICO in history, despite the fact that EOS had not even developed its product. John Oliver talked about Bitcoin and made a reference to EOS as well in March, since at that time Block.one had been reportedly raised $1.5 billion. Since the project had benefited from such a high level of attention that means the expectations around the project are really high and the team must deliver. 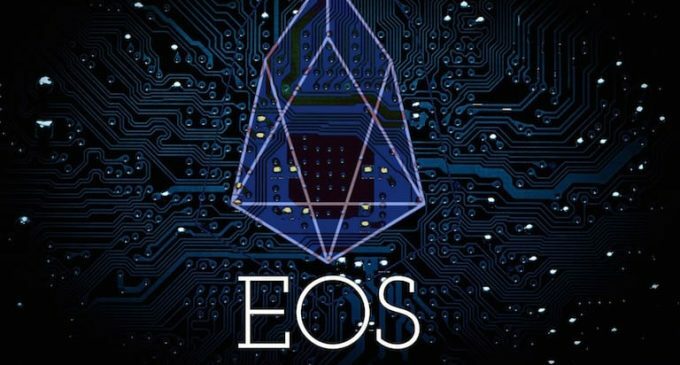 Currently, the EOS price is still on the way up, as we have mentioned in our last weekly crypto analysis. As the company will start to actually build what is had promised, the price is expected to move accordingly. We expect to see if all the promised features will be implemented and how the price will react.